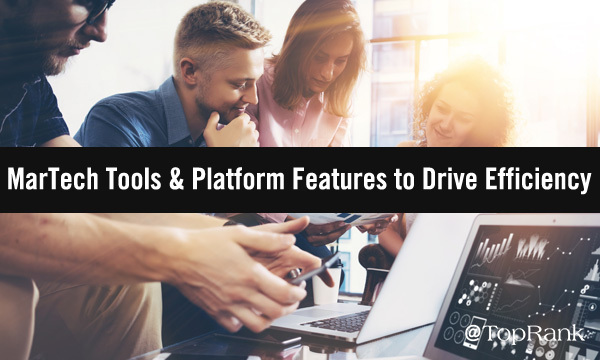 But whether your martech stack seems sturdy or you’re actively on the hunt for new tools, you may not be keeping up with the latest and greatest tools that you have yet to tap into. Or perhaps you’re missing out on some of the great features that your current go-to tools offer. So, to help you get the most out of your martech stack and add to its effectiveness, below we highlight a handful of martech tools and platform features that you maybe haven’t thought of or haven’t heard of to drive efficiency (that can drive better results). Today, 91% of organizations with over 10 employees have a CRM system. And for B2B companies, a CRM is often a basic essential. But are you leveraging it to execute account-based marketing (ABM) programs or build relationships with your audience over social? With traditional CRM systems, this becomes hard to do as there usually isn’t a social selling or marketing function. Nimble, a social selling and marketing CRM provider that’s been improving and iterating on its product since 2009, promises to change that. After integrating with your email, Nimble identifies the contacts that need to be entered into the CRM system and matches them with social profiles. This enriches your contact information to much more than just a name, title, and email address. In addition, this social integration allows you to track how your customers are interacting with your brand over social, as well as enables you to scour social networks for potential prospects. You can also segment your customers in Nimble and send them customized email messages, increasing the effectiveness of your ABM campaigns and saving you time. Content marketing is no longer a shiny new object. It’s core to B2B marketing strategies. In fact, Content Marketing Institute (CMI) stopped asking marketers whether or not they use it in their most recent research report. But as a result of wide adoption, it’s a well-known fact that brands have content and lots of it—and cutting through the clutter and making meaningful connections with your audience can be a big pain point. This often requires a healthy, smart mix of email marketing campaigns, on-page optimization, social media amplification, paid social/search, and more. FeedOtter has one of the easiest and most efficient ways to consistently get your content out there, and you don’t even have to think twice about it. Through an integration with your marketing automation platform (Pardot or Marketo), FeedOtter is able to automate RSS email and send it through your ESP or marketing automation software. The tool takes your RSS content and curates it automatically into a beautiful, templated email campaign. And for a more customized approach, you can pick and choose which pieces of content you want to include in your emails to create a personalized blog digest or newsletter. Competitive research is a routine task for any B2B marketer. But knowing what your competitors are publishing, how they’re interacting with customers, what their customers are saying about them, and more takes an incredible amount of time and research. However, there’s a tool that can help eliminate the need for extensive manual research. Since 2013, RivalIQ has provided competitive social media analytics that allow you to see exactly where you stand in relation to your competitors. You can see how quickly they’re gaining followers, how often they post over social, what their top messages were, what their average engagement rate is, and more. In fact, you can even see which of your competitor’s posts were paid promotions, giving you insight into their social media strategy. With this information on hand, you can see if you’re moving ahead or lagging behind in performance, allowing you to make adjustments to your social strategy on the fly. According to HubSpot’s State of Inbound 2018 Report, 55% of marketers say that content creation is their top priority. Cranking out content is easier said than done, however. You can’t just put out content for content’s sake, you need to make sure your content actually answers a customer question or solves a buyer’s pain point—something we often refer to as best-answer content. 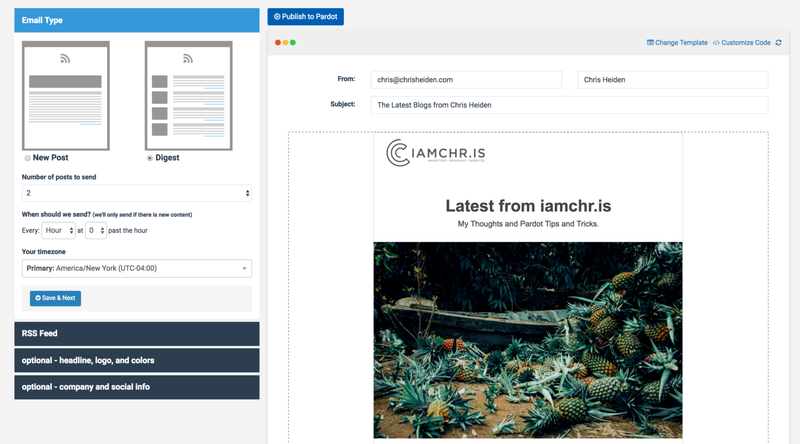 BuzzSumo has been around for a while, but their Question Analyzer was just released in 2017 and it can help you ensure that the content you’re creating serves a real, specific need. Just enter in a keyword you want to target, and BuzzSumo will scour online forums, social media, Amazon, and Q&A sites to surface the most popular questions people ask using that term or phrase. As a B2B marketer, this is critical information to have that can help shape your content marketing strategy and monitor the topics and questions your buying audience is asking. And this feature can help you gather intel quickly. SEMRush is easily one of our favorite search marketing tools here at TopRank Marketing. Why? They’re constantly releasing new features that help us create better content and make more effective optimizations. One such feature is the Keyword Magic Tool in their SEO Toolkit. The Keyword Magic Tool has been around for the past couple of years, however, SEMRush has been expanding the tool to make it bigger and badder than ever before. The tool’s database is now home to 7.7 billion keywords, which the company says is the largest in the world. There are now 118 country databases, too. The tool is one of our go-to resources for informing our SEO strategies or coming up with new content ideas, saving time and providing meaningful insights. Instead of having to search each individual keyword we could target, a single search in the Keyword Magic Tool will gather all of the related keywords, their monthly search volumes, their competition scores, and even filter them based on categories and questions. Google Analytics (GA) is included in nearly every marketer’s toolkit in order to track their website performance, engagement, and so on. But GA is loaded with features and tools that can help you be more productive—and you might not even be leveraging them. For example, a top GA pain point can be the time it takes time to navigate through the platform to find the results you’re looking for. Plus, the reports take time to customize, load, and integrate with other data sources. This is where GA’s custom dashboards come in handy as they allow you to aggregate the data you actually care about and put it into one easy table. You don’t need to dig into several different reports to find what you’re looking for. Instead, you can create a dashboard with all of the information you need on a single page. And you can create several of them, allowing you to create segmented and tailored reports based on your specific KPIs. If you’re already using custom dashboards, you should be asking yourself if you have an opportunity to do more. For example, at TopRank Marketing we have custom dashboards for each of our core services areas. To grow your site’s organic traffic, increasing the quantity and quality of your rankings are a top KPI. But with rankings changing each and every day, your ranking performance is hard to track without a tool to do it with. Now, well-known SEO tool, Ahrefs, can track your rankings and historical rankings for you. Just last year, Ahrefs released their new Rank Tracker to help you keep tabs on your rankings and the rankings of your competitors—without an immense time commitment. This tool is especially helpful as it allows you to see your all-time historical rankings for each page of your site and even allows you to segment your rankings based on keyword group, position, SERP type, and more. Want to know how many featured snippets you have? The Rank Tracker can tell you that, too. New marketing tools and features are being constantly released, and it’s up to you to evaluate them to see if they’re a good fit for your team and your overall marketing goals. To help spare you from having to do all of the work yourself, the above tools and features are some of the most helpful that we’ve come across. For more new technologies that can help improve your marketing productivity, check out our list of 54 Artificial Intelligence Powered Marketing Tools. What emerging marketing tools or new features for old favorites have caught your eye recently? Tell us in the comments section below. The post 7 Efficiency-Boosting Martech Tools & Platform Features B2B Marketers Need to Consider appeared first on Online Marketing Blog – TopRank®.